White Collar Crime cases are complex in nature and require the ability to synthesize voluminous amounts of material in a timely and cost-effective manner. They generally involve financial transactions among individuals, businesses and/or government professionals. We have the experience to aggressively and persistently defend an individual or entity that is under criminal investigation or currently being prosecuted. White collar crimes include antitrust, bribery, computer crimes, environmental violations, espionage, false claims, foreign corrupt practices and tax concerns. They include various forms of fraud: bank, health care, mail and wire, procurement and securities fraud. Many white collar crimes are considered federal crimes because they involve an allegation of fraud against the federal government. An individual charged with white collar crime will face the full weight of the federal government which can spend unlimited resources in its prosecution. If you receive a target letter from a federal prosecutor, you should contact an attorney immediately and refrain from speaking with anyone else. A target letter informs an individual that charges are being investigated and that the recipient may be the subject of the investigation alleging fraud, insider trading or some other federal crime. The ensuing investigation may result in a grand jury indictment for a federal offense. Thus, it is very important to contact an attorney upon receipt. If I am contacted by a federal investigator, what should I do? You should contact an attorney immediately and make no statements to investigators. You should also not discuss the subject of the investigation with anyone or ask them questions because that information might contribute to building a case against you and lead to a possible indictment. It is important to note that you cannot talk your way out of an investigation despite assurances from federal agents that they just want to get your side of the story. Retaining an attorney is crucial at this point. What are some other methods used by the government to investigate someone? In addition to sending you a target letter or being contacted for an interview by a federal agent from either the IRS, the Secret Service, the FBI or some other federal agency, you may receive a subpoena from the government. You may also find a federal law enforcement agent at your door with a search warrant. You should absolutely not discuss anything with federal agents while they are in your home executing a search warrant. All statements you make will be used to build a case against you. Instead, you should contact and retain an attorney immediately if you receive a subpoena or a search warrant is presented. Are there any defenses to white collar crime? Yes, duress, lack of specific intent and entrapment are among the most common defenses available. An experienced attorney will analyze your case and come up with the best strategy to defeat the government’s case and preserve your rights. In many cases, white collar crimes are serious felonies that can result in a person serving lengthy prison sentences, paying large fines and making restitution. Federal crimes resulting in a conviction require applicability of the Federal Sentencing Guidelines. There are many types of white collar crimes and below you will find a brief description of the most common. Please clink on the links for more information including the relevant portion of the U.S. Code and possible penalties under the Federal Sentencing Guidelines. The basis for antitrust law is the Sherman Antitrust Act passed by Congress in 1890. These federal offenses are concerned with anticompetitive behavior of businesses which seek to establish monopolies or control of a sector or industry. 15 U.S.C. Chapter 1. A scheme that attempts to defraud a bank of funds, including money or other assets or the taking of property by an entity posing as a financial institution. 18 U.S.C. Section 1344. Withhold disclosure of assets and falsification on bankruptcy forms. 18 U.S.C. Chapter 9. The giving of money in order to influence behavior or action of a public official causing that person to act contrary to his or her public duty. 18 U.S.C. Chapter 11. This is usually considered a federal crime and involves the use of the internet to commit identity theft or other fraud. 18 U.S.C. Section 1030. This describes forgeries of currency, products and documents. 18 U.S.C. Chapter 25. This may include identity theft and the unauthorized use of a credit card and is a common white collar crime. 18 U.S.C. Section 1029; 15 U.S.C. Section 1644. The unlawful taking or conversion of property or assets. 18 U.S.C. Chapter 31. Violations of Environmental Protection Agency regulations may lead to federal charges. 42 U.S.C. Chapter 85. Obtaining money from another through coercion may lead to being charged with extortion. 18 U.S.C. Chapter 41. This arises when prosecutors attempt to prove that an individual or business knowingly submitted fraudulent claims to the government for payment. Sometimes the information is obtained through whistleblowers. 31 U.S.C. Section 3729. The Foreign Corrupt Practices Act makes it unlawful to provide payments to foreign government officials to influence or induce the foreign official to act in violation of his or her lawful duty. Prosecutors are actively pursuing these types of cases. 15 U.S.C. §§ 78dd-1, et seq. This is often related to identity theft and can also include altering a document and intending to deceive others to obtain money. This may also include goods which are not manufactured as advertised. 18 U.S.C. Chapter 25. Many health care fraud cases are filed pursuant to the False Claims Act and are known as qui tam suits. Qui tam suits are filed by individuals alleging that a business has attempted to fraudulently receive payment from the federal government by filing a false claim. The individual commences the lawsuit and it is then pursued by the government against the company alleged to have made a claim under the False Claims Act. 18 U.S.C. Section 1347; 31 U.S.C. Section 3729. A fraudulent scheme involving the U.S. mail or wire services in order to deny another individual property or services. 18 U.S.C. Chapter 63. The act of concealing or disguising the proceeds of unlawful activity into legally obtained money or assets. 18 U.S.C. 1956. Providing false information on a mortgage loan application may result in charges being filed. 18 U.S.C. Code Chapter 47; 18 U.S.C. Chapter 63; 42 U.S.C. Section 408. This type of fraud occurs often in the area of government contracts whereby an individual attempts to gain an unfair advantage in securing a contract for an organization. Procurement fraud may involve bribery, bid rigging, embezzlement, money laundering and false claims. For example, see 31 U.S.C. Section 3729. There are several types of fraud in this area including illegal flipping, mortgage fraud, predatory lending and home equity fraud. 18 U.S.C. Chapter 47. This covers a range of crimes including misrepresentation of information to investors and insider trading. 18 U.S.C. Section 1348. 18 U.S.C. Section 3301. 15 U.S.C. Chapter 2A. Tax evasion occurs when a person or entity fraudulently avoids or underpays a tax obligation. If someone attempts to report income obtained from illegal activity, they also face charges of money laundering. 26 U.S.C. Chapter 75. 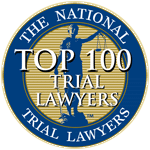 You may reach a Washington DC White Collar Crime Lawyer at 202-330-6290 or send us an email by clicking here.